3 in. Arched Pull Bring a contemporary look to your kitchen or bathroom cabinetry with the Liberty 3 in. Arched Pull. This elegant piece of hardware is constructed from high-quality zinc die-cast base material built to withstand the toughest environments. 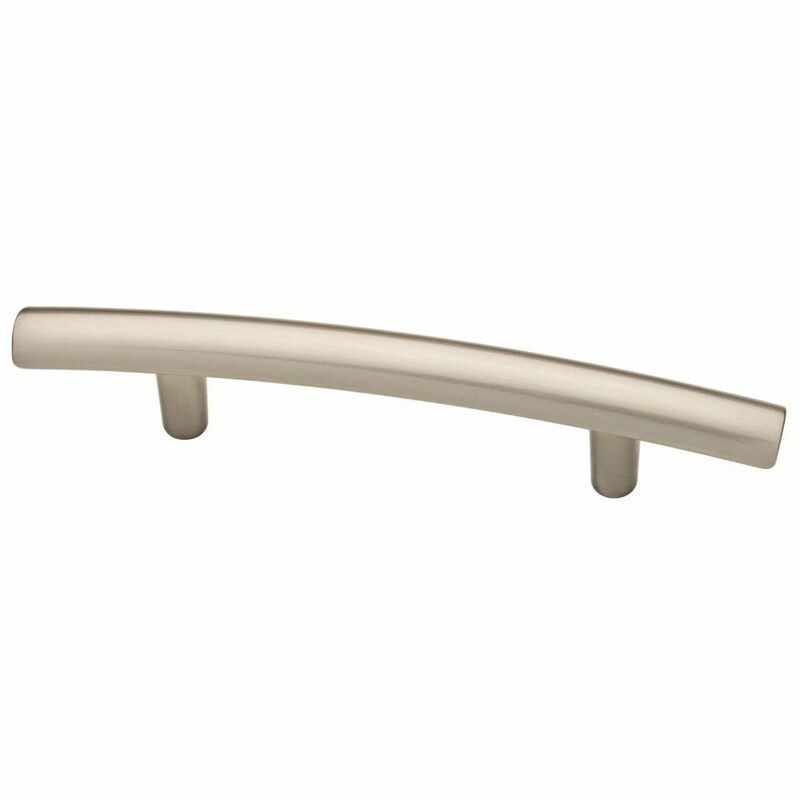 The satin nickel finish along with the clean lines and sleek curves gives this pull that designer look. The Liberty 3 in. Arched Pull features 3 in. center - to - center rear mounting. 3 in. Arched Pull is rated 4.8 out of 5 by 26. Rated 5 out of 5 by Carla from I love the Nickel Arch cabinet pulls! I replaced... I love the Nickel Arch cabinet pulls! I replaced older wooden ones with these to help freshen up the look in my kitchen. These go well with my stainless steel appliances. It's beautiful. Rated 5 out of 5 by cherienc from Sturdy and look great! Sturdy and look great!